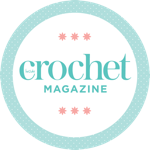 I think I must have been in a crochet-induced daze over the last week or so – it feels like yesterday I last blogged but clearly it’s been a little longer! Since I last blogged, I have been working my fingers to the bone on my current works in progress, and I cleared one big project off my list… the Tunisian crochet jumper is now FINISHED! Slightly dodgy selfie on the jumper’s first outing – think I got distracted halfway through taking the picture. This is in the local pub with the dog – I assume she’d jumped on someone! I need to get some better shots of the whole thing before I officially “ta-dah” it, but I am SO happy. I want to use this yarn for everything now. EVERYTHING. Since I finished the jumper, I surprised myself by heading straight for the Sophie’s Universe blanket instead of the mystery blanket. I’ve been taking her everywhere. Having some Sophie time in the garden last weekend. Having decided before that she was too big to take on the train, I started taking her on the train again anyway – it’s a school holiday this week in the UK, so I’ve been taking advantage of the slightly less crowded commuting conditions! This meant I could finally get a full photo of her – floor space is limited in our house due to the sheer number of animals trying to get in the shot. So I took Sophie into the office (hence the dodgy carpets!) and clambered up on a chair to get the first full picture of her since March! This picture was taken about halfway through the framing butterfly band, which is pretty close to the end of the blanket. I’ve never blocked her, and I still haven’t sewn in my ends (is it just me? I love leaving my ends til last – it’s a nice way to finish up a big project!) – but isn’t she looking fab? I’m so happy with this project! I will be delighted to get Sophie’s Universe finished – I think I probably have about 2 days’ work left… and it’s the weekend now, so that’s convenient! Although I haven’t really started on another project, I have been playing around with some bunting ideas on my commute. I made some granny bunting last year based on the pattern over on attic24, but I wanted to change things up a bit and add some more texture. So far I like where it’s going – popcorns in the middle make it look floral; the puff stitches add a bit of dimension further out in the triangle; but I’m not 100% yet, so the quest for the perfect bunting triangle goes on! Before I sign off, I just wanted to say how excited I am that my post was chosen as a runner up in the Deramores blog competition! I’ve proudly displayed my badge on my blog side bar, and I can’t wait to get hold of my yarn prize! Love the jumper and that blanket is amazing, so detailed!